The valuable work of the Kentucky Foundation for Medical Care (KFMC) would not be possible without the generous support of our contributors. The medical landscape is evolving rapidly, and the KFMC fills a vital role in helping physicians navigate these many changes. With ongoing support, the KFMC can continue to assist practicing physicians through education and other projects that are not being provided by anyone else. To donate by credit card, please click the "Donate" button. The Kentucky Foundation for Medical Care is sponsoring the KMA Medical Student Outreach and Leadership Program aimed at giving medical students at the University of Kentucky and the University of Louisville practical information in addition to the clinical education they receive in the classroom. 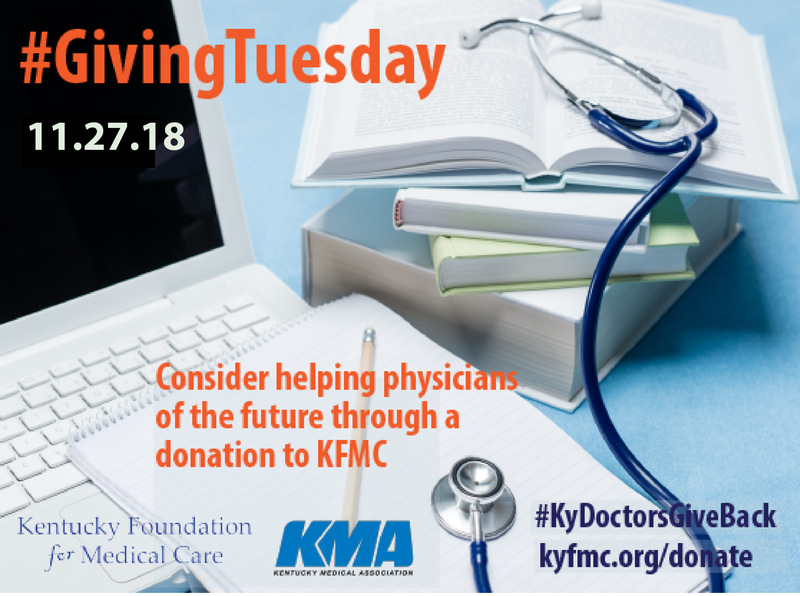 The Kentucky Doctors Give Back campaign is aimed at raising money to fund the four presentations at each school as well as student recognition and awards during the KMA Annual Meeting each year.